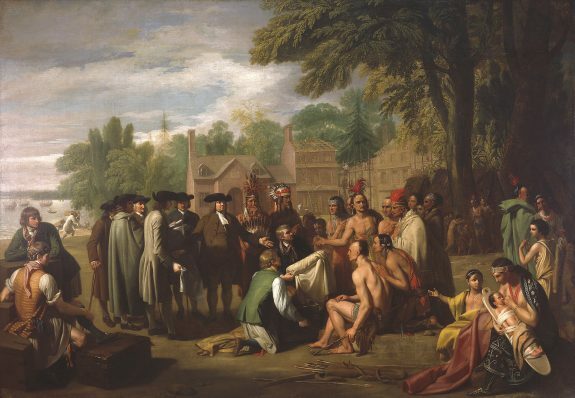 Thomas and Elizabeth Fairman's home, inaccurately depicted in the background of this 1771 Benjamin West painting, also housed the first deputy governor of Pennsylvania and William Penn during his 1683 conference with Lenape Leaders. 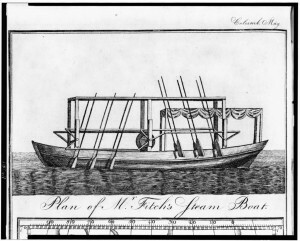 Given its proximity to ship-building and -dismantling operations, Petty Island became a graveyard for vessels, including the Revolutionary War frigate Alliance, commanded at times by John Paul Jones and John Barry, and the Perserverance, the world’s first commercial steamboat, invented by John Fitch. Fitch became aware of steam-engine technology being developed in Britain, but was unable to import an engine. He instead developed his own version of the steam engine. 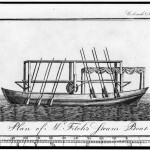 He made his first successful trial run in August 1787 for the delegates of the Continental Congress. 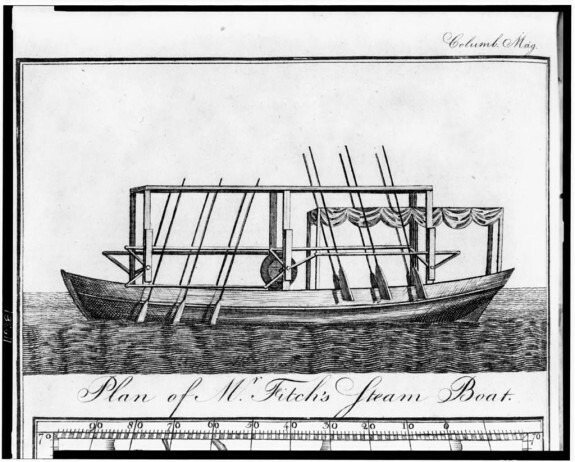 Fitch's first steamboat was propelled by rows of oars along the sides, which he replaced with a paddlewheel in his later designs. His fourth and final ship, Perserverance, was washed up on the southern tip of Petty Island and was abandoned. 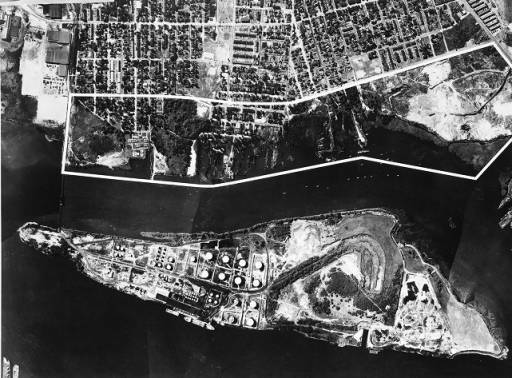 In the twentieth century, Petty Island was used primarily for refining and distributing petroleum products. By 1953, the entire island was owned by the refiner CITGO. This 1965 aerial photo of the island and Camden's shoreline shows rows of oil tanks on the island's north end (left). Other proposed plans for the island in the twentieth century failed. The New Jersey Legislature blocked a 1902 proposal for the City of Philadelphia to own and operate a municipal hospital for contagious diseases (“pest house”) and an insane asylum on the island or anywhere else in New Jersey. A failed bond sale derailed a 1907 plan to build an “Island City” amusement park designed by architect Louis Sullivan. Logistical problems related to transporting thousands of daily visitors sank the Philadelphia 1976 Bicentennial Corporation’s plan for an international exposition on the island modeled on Montreal’s “Expo 67” World’s Fair. The petroleum-refining company CITGO ceased operations on Petty Island in the early twenty-first century. Plans for the island initially called for a high-end housing development and golf course. After the discovery of nesting bald eagles on the island, CITGO instead offered to donate it to the state of New Jersey for use as a wildlife reserve. The state rejected this initial offer and continued plans to develop the island. After the 2004 death of a bald eagle on the island and financial difficulties, the development of the island was halted in 2008. 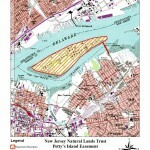 The next year, the New Jersey Natural Lands Trust finalized plans with CITGO to clean and restore the island, and to donate it to New Jersey no later than 2020. Plans called for the island's forests to be replanted and a grasslands environment to be created in the center, with most of the remaining oil refinery infrastructure to be removed. In the second decade of the twenty-first century, Petty Island retained much of the infrastructure built during oil refiner CITGO's time there. 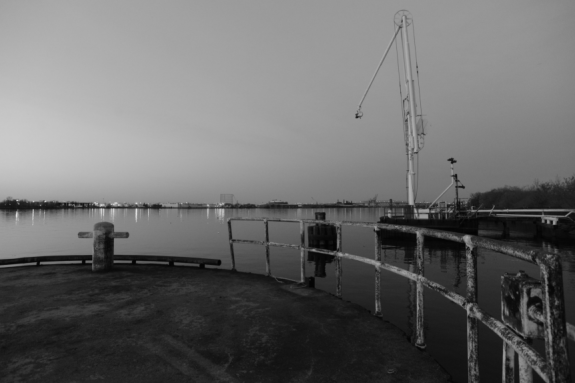 These circular concrete platforms, known as breasting dolphins, were used as piers to moor ships. The tall apparatus on the central breasting dolphin is a loading arm, used to fill large oil tankers. The New Jersey Natural Lands Trust planned to retain Petty Island's three breasting dolphins and convert them for use as lookout areas. The loading arm was to be demolished. These dolphins are connected to the refinery's loading dock by short bridges. In 2016, Petty Island's northern half was still studded with oil tanks dating to its days as an oil refinery and distribution center owned by CITGO. From a peak in the 1940s, the number of these structures decreased over the years as they were periodically razed. 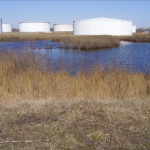 Interpretive plans for a planned Petty Island nature reserve called for some of these tanks to possibly be left standing for educational purposes. 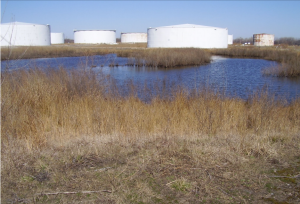 The area around these tanks became a marshy wetlands environment that supported numerous plant and animal species. 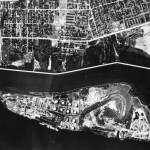 Petty Island, part of Pennsauken, New Jersey, in the Delaware River opposite the Kensington section of Philadelphia, played a significant supporting role in the economic development of the region. Also known as “Pettys” or “Petty’s” Island, over time it served as a place where people hunted, fished, gathered herbs, farmed, built and repaired boats, operated blacksmith shops and sawmills, manufactured wagons and chains, ran a drinking and dancing establishment, conducted lotteries, stored coal and petroleum products, refueled ocean-going vessels, refined oil, and operated a port. In 2009 the island began a transition from industrial use to a future as a state-owned wildlife preserve. Fairman’s Island was part of Pennsylvania and a point of connection between the new province and West Jersey. From 1681 to 1683 Quakers crossed the Delaware for their monthly meetings, alternating between the homes of the Fairmans at Shackamaxon and William Cooper (1632-1710) at Pyne Poynt (later part of Camden) on the opposite shore. The island was a landmark for Delaware River boat travelers. Benjamin Franklin (1706-90) encountered it on his first trip to Philadelphia in 1723. Starting late from Burlington, New Jersey, on a cold windless October evening, he and his company rowed south until midnight and, not seeing the city’s lights, put to shore and made a fire. At daylight they discovered they had spent the night in Cooper’s Creek a little north of Philadelphia, which they saw as soon as they rowed out of the creek and passed the island. Agriculture prevailed on the island during the eighteenth century as it gained a new name, Petty Island, from Philadelphia merchant John Petty (1702-63), who bought it in 1732. When Petty advertised the 300-acre island for sale in 1741 as a whole or in lots, he described forty acres of meadow, thirty acres cleared for corn, grain, or tobacco, an orchard of peach and apple trees, and a frame house with two brick chimneys. In 1760 he sold his last parcel (forty acres) to Joseph Cooper (1735-1818), who continued agricultural uses and purchased most of the other parcels. While slaves probably worked in the fields or maintained banks and sluices on the island, the only evidence for its possible use as a slave depot or offloading point is indirect. John L. Morrison’s Romance of Petty’s Island (1917) cited testimony before the Board of Trade and Plantations in London in the 1760s that a Mr. Pemberton landed a cargo of slaves on the north end of the island and later in Jersey “privately” to avoid the protective tariff duty Philadelphia charged on human chattels. Following the American Revolution, New Jersey and Pennsylvania formed a compact to divide the Delaware River islands. Joseph Cooper served as one of New Jersey’s three boundary commissioners who, with their Pennsylvania counterparts, agreed in 1783 that Petty Island would become part of New Jersey. By 1851 the island was home to several small farms and eighteen families. As economic development and competition for suitable riverfront land intensified in Philadelphia, Pennsylvania ship-builders and other proprietors built wharves, docks, warehouses, and workers’ housing opposite their existing operations. In 1852 Andrew (1806-92) and James (1812-86) Manderson purchased two large tracts to expand their Philadelphia-based lumber business and operate a farm. 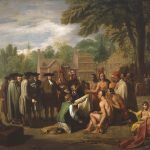 They gave the island a new name, Treaty Island, to honor the treaty Penn made with the Lenape at the Fairmans’s Shackamaxon home in 1683. (Treaty Island appeared on many local maps up to 1990, although the U.S. Guard and Geodetic Survey maps retained the name Petty Island.) William Cramp (1807-79) also expanded his shipyard to the island, where it built a variety of vessels, including the clipper ship Manitou (1855). For a few years in the 1880s, a dancing and drinking resort called “Willow Grove” also drew recreational visitors. Shipbuilding-related activity continued until 1893 when the Army Corps of Engineers, after using eminent domain to acquire and demolish most of the island’s commercial activity and infrastructure, cut the island’s western shoreline and dredged away 150 acres. This action was the last stage of a massive redevelopment of Philadelphia’s port, which included removing Smith’s and Windmill Islands downriver, deepening and widening the Delaware’s channel, and extending the Philadelphia wharf line farther into the river to accommodate larger vessels. To direct the river’s current toward the Philadelphia shoreline to maintain the new channel depth, Army engineers removed Petty Island’s broad southwest point opposite Cooper’s Point to make the island conform to the bend in the river and reshaped the southern end into a sharp jetty pointing downriver. During the twentieth century, industrial usage reigned, including storage and refining of petroleum products. The first oil company to take an interest in Petty Island, Crew Levick Company of Philadelphia, purchased fifty acres in 1916, the same year it was acquired by Cities Service, a holding company based in Oklahoma. In the early 1930s Cities Service’s oil island refinery and tank farm, which had 21 million gallons of storage capacity, made Camden one of the most important ports on the Atlantic seaboard for oil-burning ships. In 1931 thirty-one oil tankers brought crude oil to the island for refining and more than 5,000 rail cars departed the island with product for delivery to customers. The southern tip of the island also became a coal yard to serve electric power stations of the Philadelphia Electric Company from the early 1920s into the early 1930s. Cramp Shipbuilding returned to the island from 1919 to 1927 and again in 1939 to meet expanding shipbuilding demands for World Wars I and II. By 1953, however, Cities Service (rebranded CITGO in 1965) had sole ownership of the island. Under lease from CITGO, beginning in 1980 the former coal yard of Philadelphia Electric became a cargo marine terminal built and operated by California-based Crowley Maritime Corporation. New options emerged in the early years of the twenty-first century. Seeking to increase its tax base, in 2004 Pennsauken Township, New Jersey, approved a plan to use eminent domain to acquire the island, clean it up, and redevelop it as a high-end housing complex, hotel, conference center, and golf course. CITGO, which was initially receptive to participating in the island’s redevelopment, reversed course after it discovered a rare pair of American bald eagles nesting on the island and other threatened wildlife in June 2002. CITGO concluded that the nest would significantly limit development. In addition, the company would be exposed to high costs for island clean up and restoration if another developer controlled the pace, method, and extent of cleanup contaminated soil and groundwater. CITGO instead offered to donate the island to New Jersey for a wildlife reserve for free. Although a majority on the New Jersey Natural Lands Trust voted in 2004 to accept the donation, the state rejected the gift amid political pressure from local and state officials who favored development. The rejection of that proposal gave rise to an unusual four-year alliance between CITGO and New Jersey’s major environmental groups, who formed the Save Petty’s Island Coalition to advocate for a wildlife reserve. In January 2009, through its Natural Lands Trust, New Jersey accepted CITGO’s offer to clean up and make Petty’s Island a state urban wildlife preserve by 2020. It also accepted CITGO’s offer of $3 million to help manage island access and construct an interpretive visitor center. In 2011, more than $900,000 in remediation projects funded by CITGO included shoreline oil boom maintenance, disposal, groundwater remediation, and excavation and disposal of contaminated materials. Plans called for restoring the island’s forest and wetlands and creating a grassland habitat in the center. 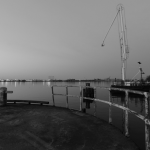 CITGO’s agreement with the Natural Lands Trust provided that the island would be turned over to the Natural Lands Trust no later than 2020, setting the stage for a new chapter in the history of Petty Island. Robert A. Shinn received his master’s degree in political science in 1972 and bachelor’s degree in American civilization in 1970 from Brown University. He serves as treasurer of the Camden County Historical Society and conducts historical research and tours of Petty’s Island for the New Jersey State Natural Lands Trust. With Kevin Cook, he authored Along the Cooper River: Camden to Haddonfield (Arcadia Publishing, 2014). Cooper, Mary Jane. “Meadowlands Remediation and Redevelopment Project.” Trenton, N.J.: State of New Jersey Office of the Inspector General. February 28, 2008. Dilg, L. Paul. “The Man Who Set Our Boundaries: the Life, Family, Character and Work of Thomas Fairman, Quaker and Surveyor.” Old York Road Historical Society Bulletin, Vol. XXXVII, 1977. Dorwart, Jeffrey. Camden County, New Jersey, 1616-1976: A Narrative History. Camden County, N.J.: Camden County Cultural and Heritage Commission, 1976. Farr, Gail E. Shipbuilding at Cramp & Sons: A History and Guide to Collections of the William Cramp & Sons Ship and Engine Building Company (1830-1927) and the Cramp Shipbuilding Company (1941-46) of Philadelphia. Philadelphia: Philadelphia Maritime Museum, 1991. Harshbarger, Patrick and Richard Hunter. Report on Historical and Archival Research, Petty’s Island Preserve, Pennsauken Township, Camden County, New Jersey. Trenton, N.J.: Hunter Research, November 2015. Heite, Edward F. Cultural Resources Reconnaissance in Connection with Petty Island Back Channel. Plymouth Meeting, Pa.: Betz-Converse-Murdoch Inc. for the Philadelphia District, Corps of Engineers, November 1982. Milano, Ken. The History of Penn Treaty Park. Charleston, S.C.: Arcadia Publishing, 2009. Morrison, John L. The Romance of Petty’s Island. Philadelphia. Privately Published, 1917. Soderlund, Jean R. Lenape Country: Delaware Valley Society Before William Penn. Philadelphia: University of Pennsylvania Press, 2015. Boyer and Cooper Family Collections, Camden County Historical Society, 1900 Park Boulevard, Camden, N.J. Historical Society of Pennsylvania Collection, Philadephia History Museum at the Atwater Kent, 15 S. Seventh Street, Philadelphia. Collections of the William Cramp & Sons Ship and Engine Building Company (1830-1927), Independence Seaport Museum, 211 S. Columbus Boulevard, Philadelphia. Penn Treaty Park, 1199 N. Delaware Avenue, Philadelphia. Penn Treaty Museum, 900 E. Columbia Avenue, Philadelphia.Petty’s Island, Thirty-Sixth Street Bridge access, Pennsauken, N.J. 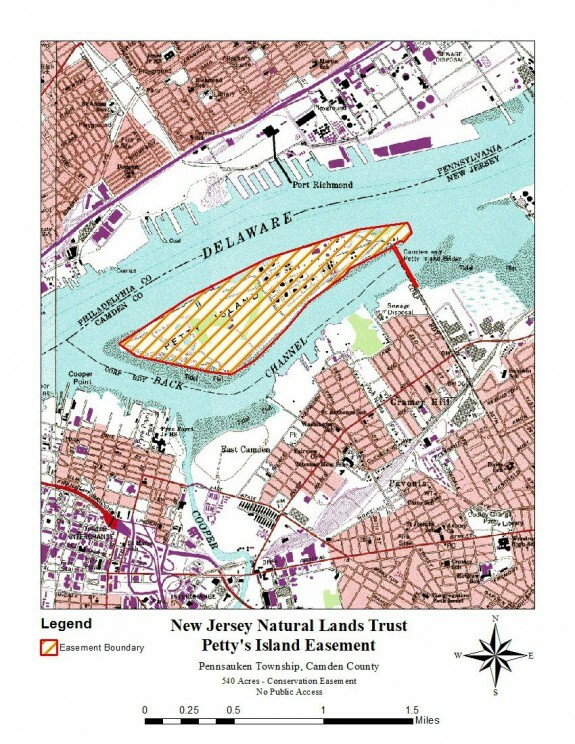 Under the terms of the conservation easement, public access to Petty’s Island is only permitted as part of a scheduled program. The Trust has contracted with the New Jersey Audubon Society to provide educational programming on the island. For more information or for a schedule of programs visit this New Jersey Audubon Society site. Pyne Poynt Park, Joseph Cooper/Cope House site, Erie Street between Sixth and Seventh Street, Camden, N.J.